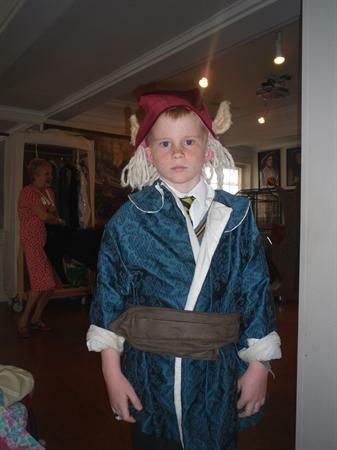 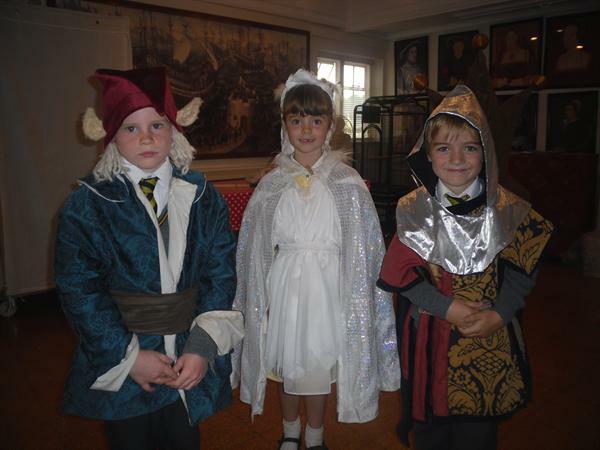 Australasia Class joined with Foxes Class from Smarden Primary for our trip to Leeds Castle. 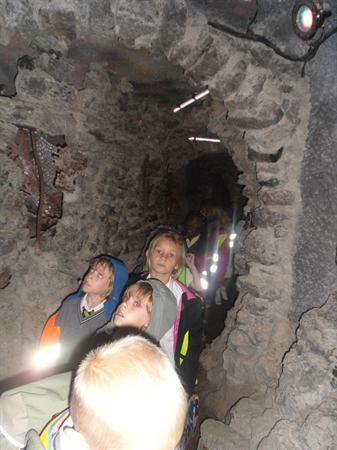 Our day started with a coach ride to the castle which was very exciting. 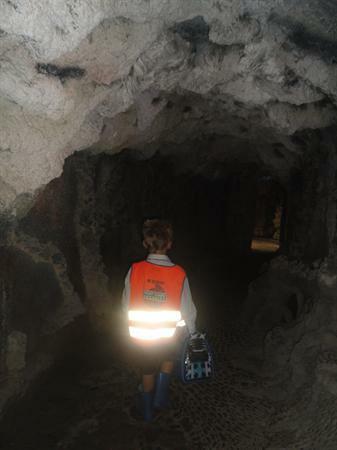 When we arrived we were met at the gate by our tour guides for the day. 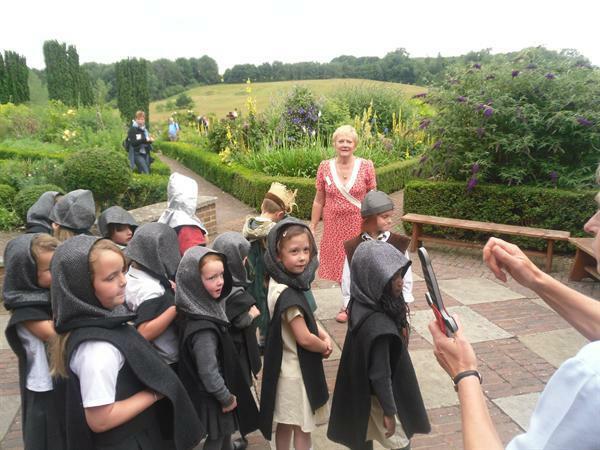 We headed through the grounds right up to the top near the castle. 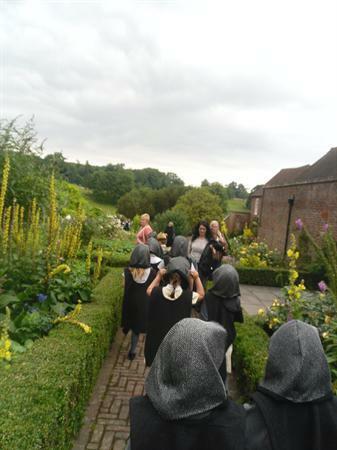 We then split up into our groups. 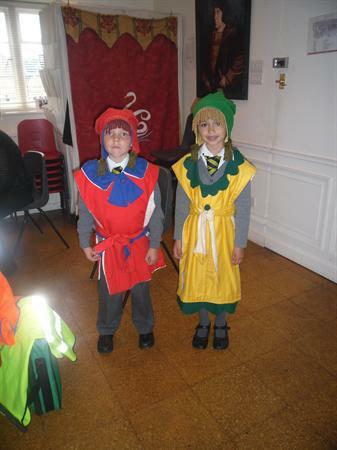 We headed off on a tour around the castle. 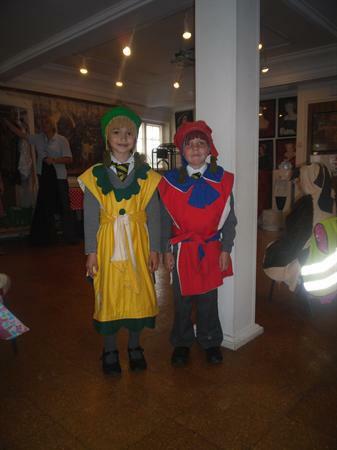 We had so many questions to ask and we learnt lots about all the different people who had lived in the castle. 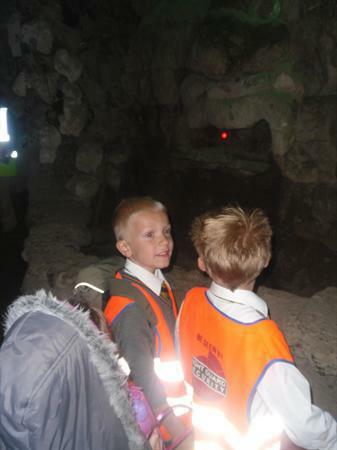 Our favourite room to see was the bathroom! 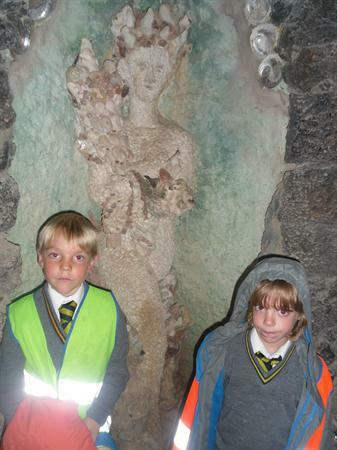 We were super behaved when we travelled around the castle, making sure we took great care, as everything was very old. 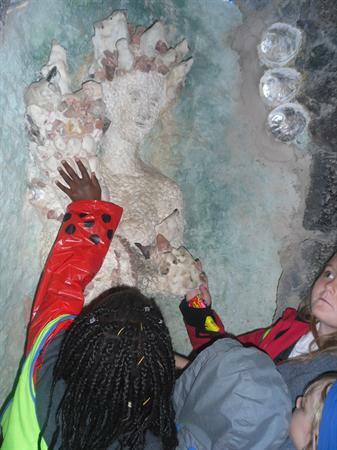 When we had finished our tour our bellies were rumbling and it was time for lunch. 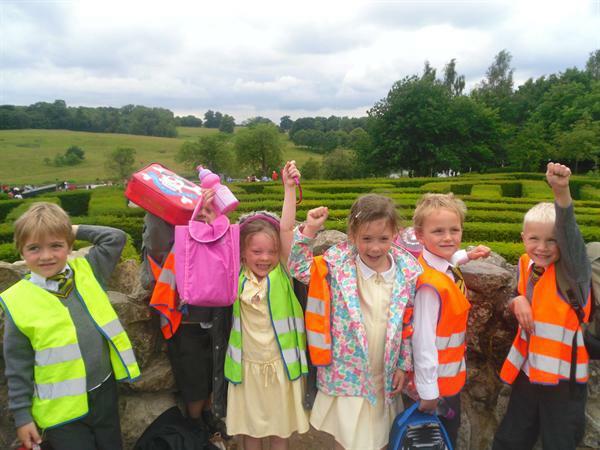 We met up with Foxes Class and the rain held off allowing us to have a lovely picnic lunch in the gardens. 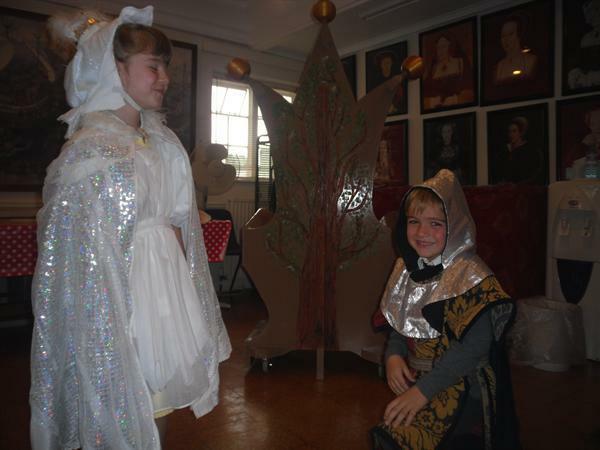 After lunch and a quick toilet stop we headed to our theatre workshop. 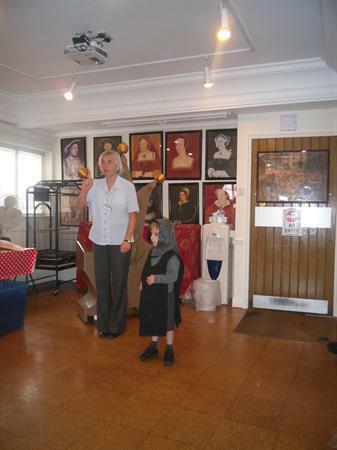 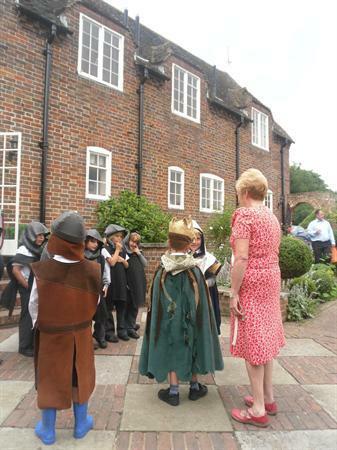 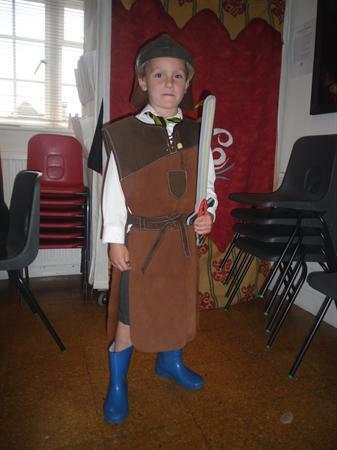 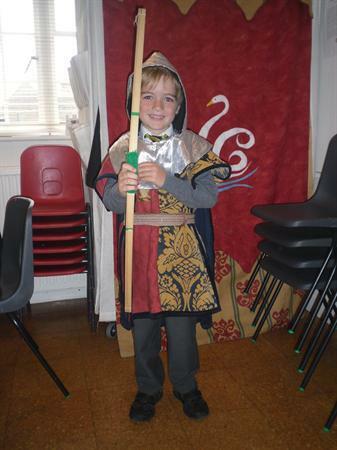 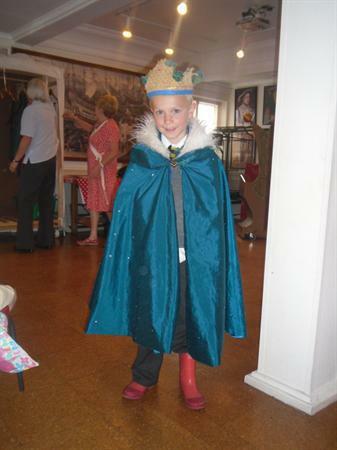 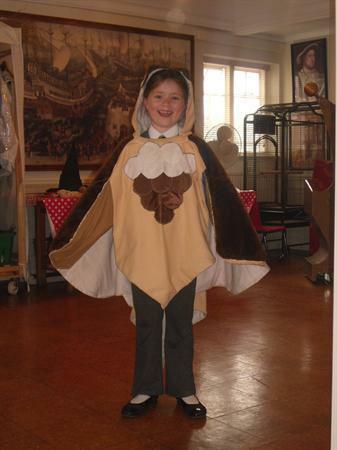 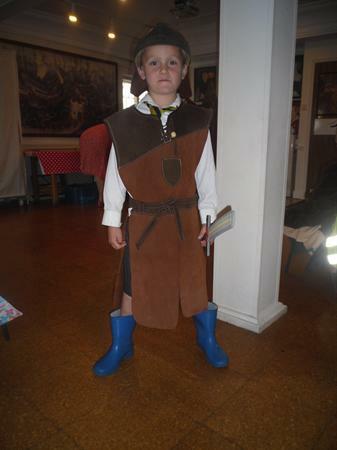 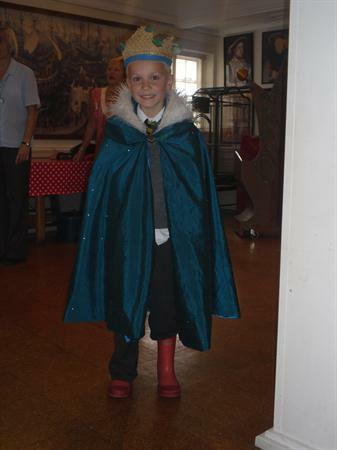 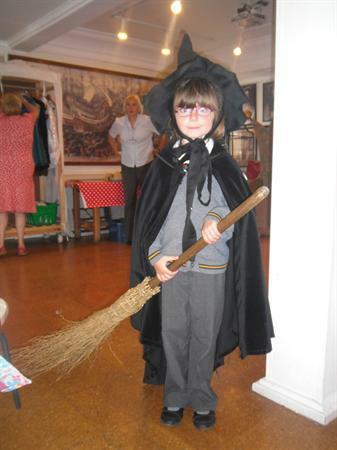 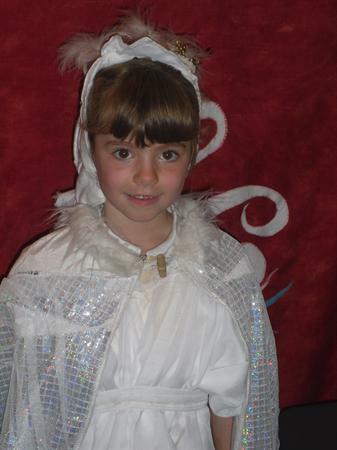 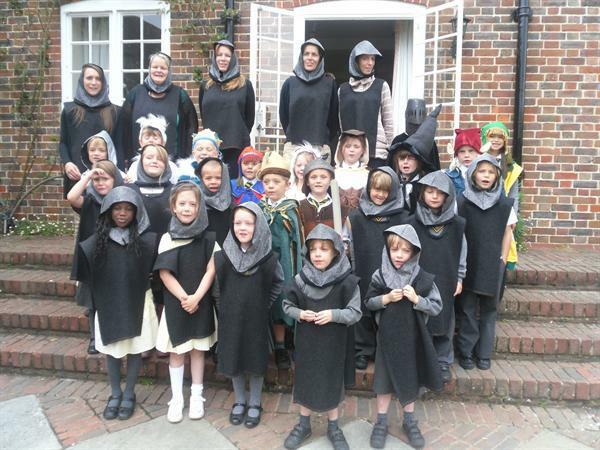 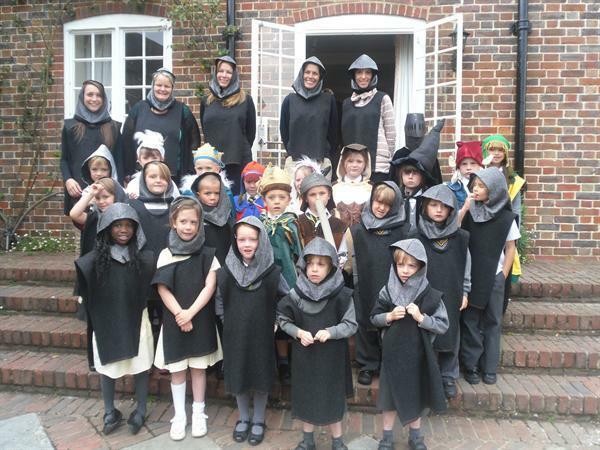 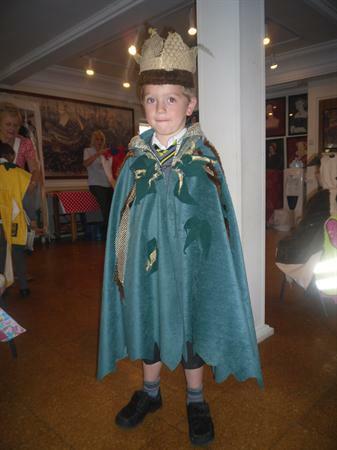 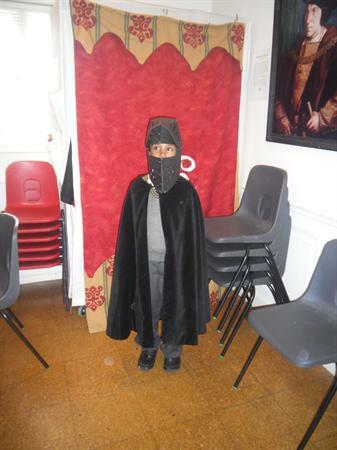 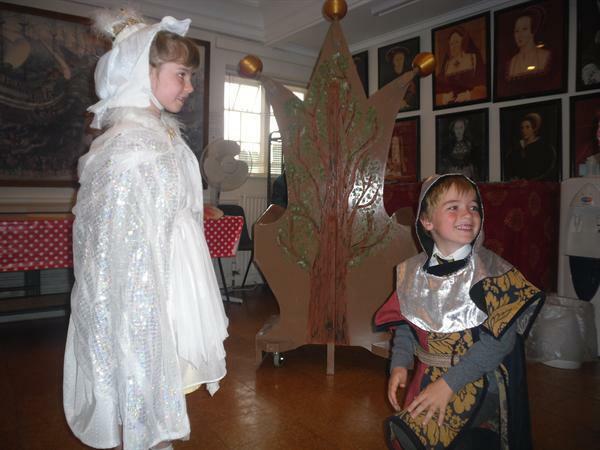 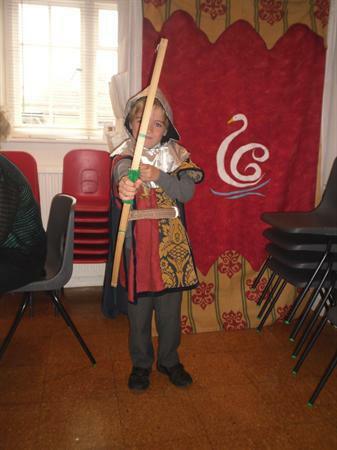 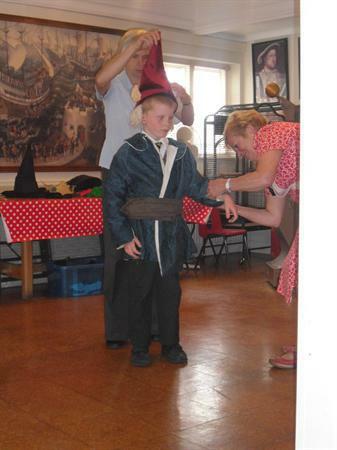 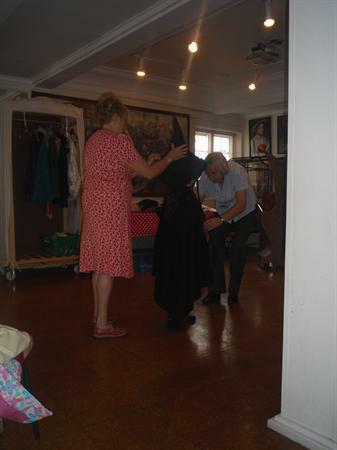 Acting parts were allocated to all of the children in the class and even the adults dressed up as knights! 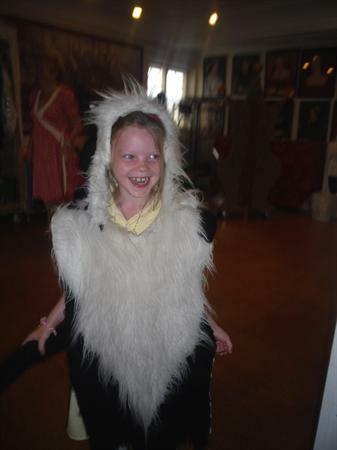 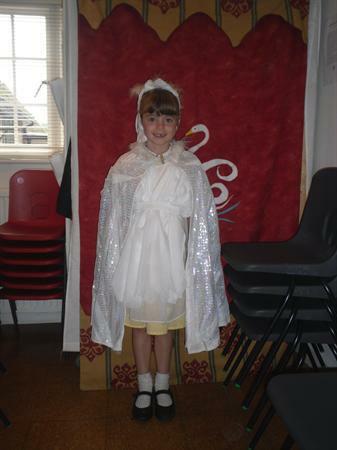 We all took part in acting out the story of the Swan Princess in our wonderful costumes that really made us feel the part! 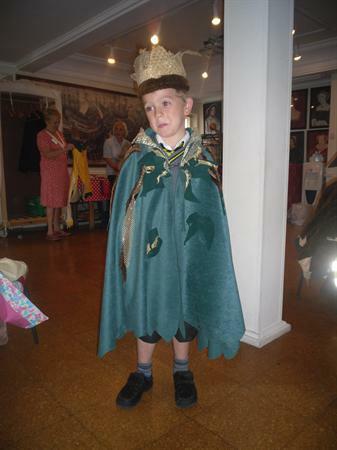 We listened really well and enjoyed the story performed by our friends. 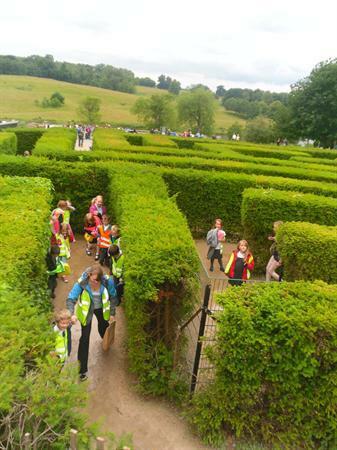 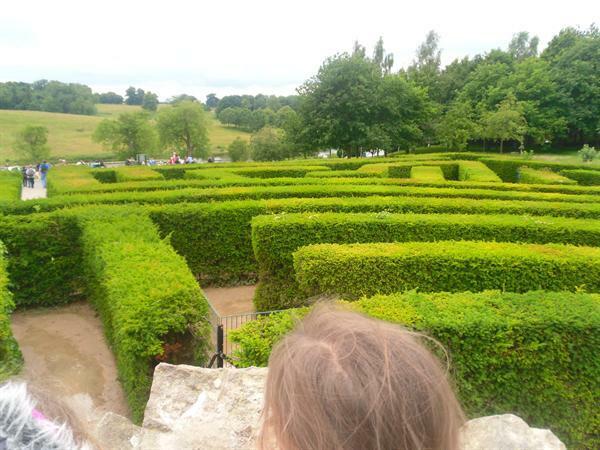 Next we headed to the maze, we raced in our groups to the middle, with Tobias leading Miss Kelly’s group to victory! 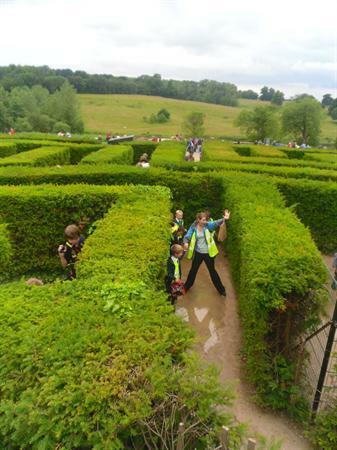 Miss Breach’s group however took a few wrong turns! 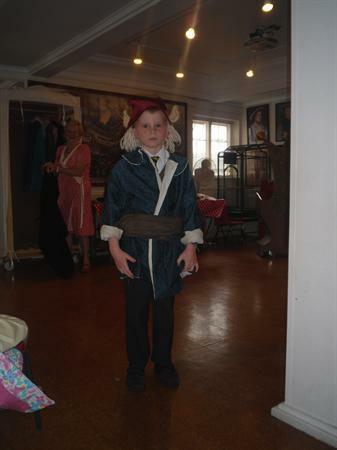 As did some others! 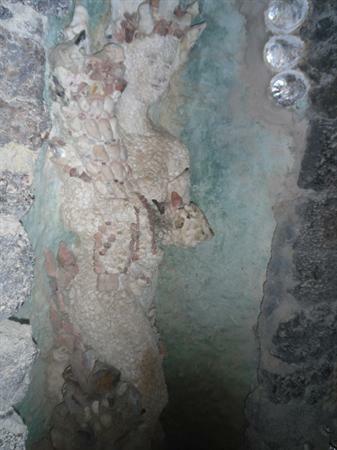 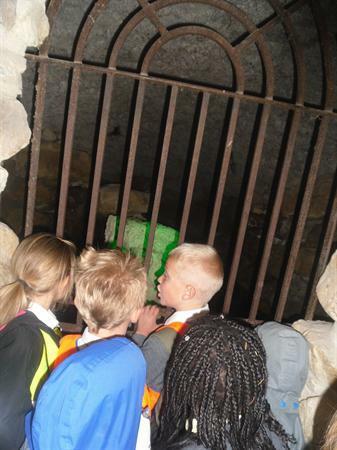 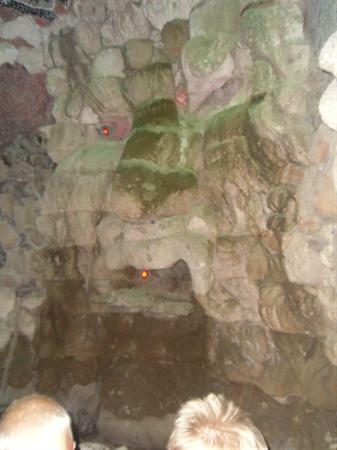 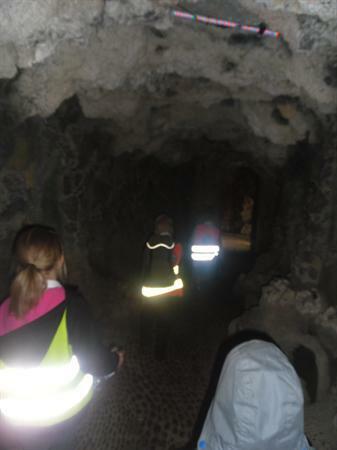 Once everyone had found the middle we crept through the grotto! 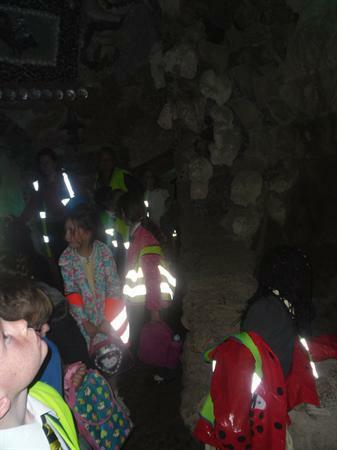 It was dark, slimy and a little scary inside but everyone was very brave! 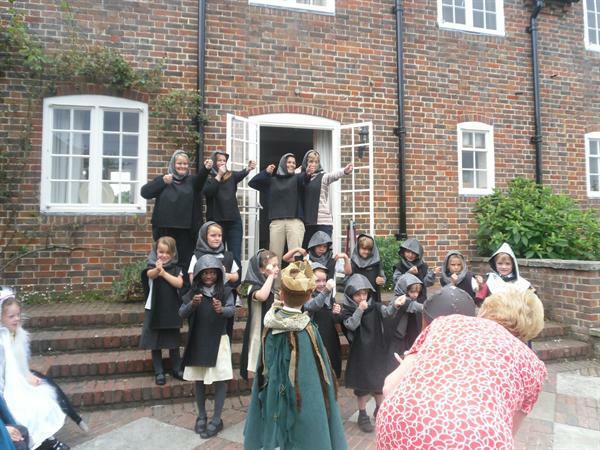 After a quick rest on the grass it was time to head back to the coach, with Miss Breach’s group leading the march! 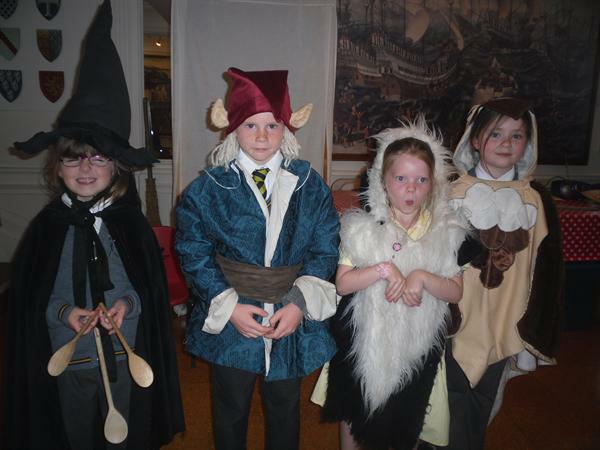 We all had a wonderful time and it was great fun. 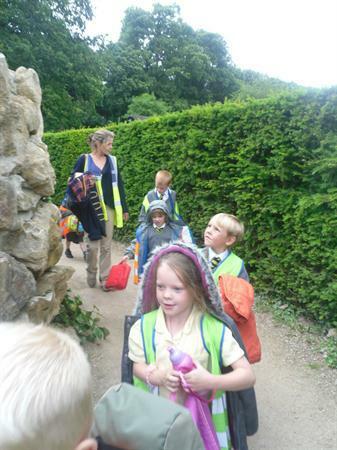 There were lots of tired children on the much quieter journey home. 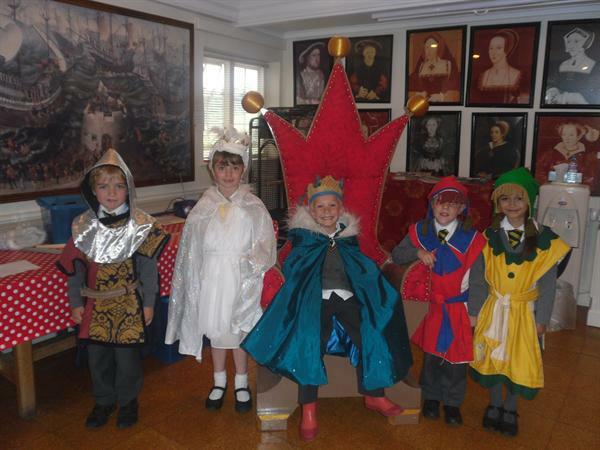 Miss Kelly was super proud of all of the children behaving so beautifully.